What to do when you lock your keys in the car? Have you ever locked your keys in the car? If yes, you must know how annoying and helpless the situation it is. When you are on a road trip or in places with almost no population, the situation worsens. As per the report by AAA, approximately 4 million US Americans annually lock their keys in cars. It is a worrisome situation especially when you are in hurry for a business meeting or a special function. What should you do in such situations? Here is a comprehensive solution for you to follow when you are trapped in such situations. Locksmiths are best in such annoying situations. If you lock your keys in the car, they can come and rescue you in just no time. Keep a number of locksmith in Roswell for such tricky situations. They are professionals who will reach out to you in no time and save you. All you have to do is to dial the number, tell them your location and that is all. They will take quick actions to help you to get rid of the situation. If you are in a remote location where there is no one to look out for, take a quick look at nearby surroundings. If you find any gas station nearby, you might get saved. Most of the gas stations have required tools to open locked cars or other vehicles. Also, if you are in a rural area where no gas stations available, call 911 and the police party will arrive at the location to help you out. Police will respond quickly and also you don't have to wait for more time in that unwanted situation. Decide your moves as per your surroundings and the time of the day. 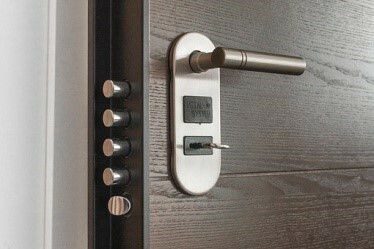 No matter in which area you are, you will always find a list of private locksmiths in that area. For example, if you are Roswell, you will find a locksmith in Roswell that can come to your rescue if requested. 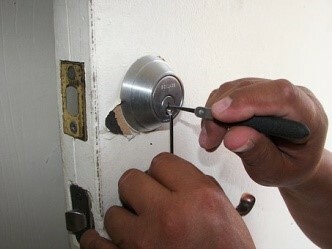 These private locksmiths are highly qualified professionals and have tools to help you out. All you need to do is to take your mobile and look out for nearby private locksmiths who can respond immediately. They will come quickly and unlock your car with the help of the unlocking the tools. Just call them, get their services and pay them and you are on your way again. American Automobile Association (AAA) is a name you can rely on when you have locked the keys in the car especially if you find that you are not in a danger. Though AAA will take some time to reach out to you, your vehicle will get unlocked by the professionals. They also charge nominal for such services, but you will be out of the situation. Generally, they will charge $25 to $50 for car unlocking services. If you have enrolled for a roadside vehicle service program from the auto insurance company you are associated with, it is the best time to ask for help. Generally, most of the auto insurance companies offer such services and it is best to enrol for such a program to get immediate help in such circumstances. If you often become a victim of locking the keys in the car, it is best to have a spare key with you or with any family members or friend. When you need the key, your spare key is just a call away. You don’t have to call out for any professional services in such awkward situations. There are many professional companies that can unlock the vehicle remotely. However, they charge more than locksmiths. If you are in hurry or in a dangerous area, it is the best option to choose. Nowadays, when you purchase a vehicle, warranty services also include unlocking cars. If your vehicle in a warranty period, just call out to your auto dealer and ask for help. It is a free service and you can save money you were about to pay to the locksmith or a tow truck operator. Check out your warranty period first in such cases. Whether you call AAA or a locksmith, tell them where exactly you are located. Keep your mobile GPS on and let them find your location. Also, tell them the model of your vehicle and they will be prepared in advance when they know which vehicle they are about to unlock. Locking your keys in the car is an annoying and frustrating situation indeed. However, you need to stay calm and composed and think about possible ways to get the job done. A professional locksmith in Roswell is the best option as they are professionals and will reach out to you in no time and get you out of misery. Kathy Mitchell is a writer and avid researcher on the subject of beauty, nutrition and general wellness. She likes to go out with her friends, travel, swim and practice yoga.